Every woman wants fountain of youth to flow eternally – offering magical sips of anti-aging beauty. She always searches for a cure to fix facial lines, crows feet, uneven skin textures and sun damaged facial skin. Alas, there’s no ‘Fountain of Youth’. But we have the next best thing – ‘Wrinkles Free’. Wrinkles Free needed a well designed educational website that provided a clinic finder for their site visitors. 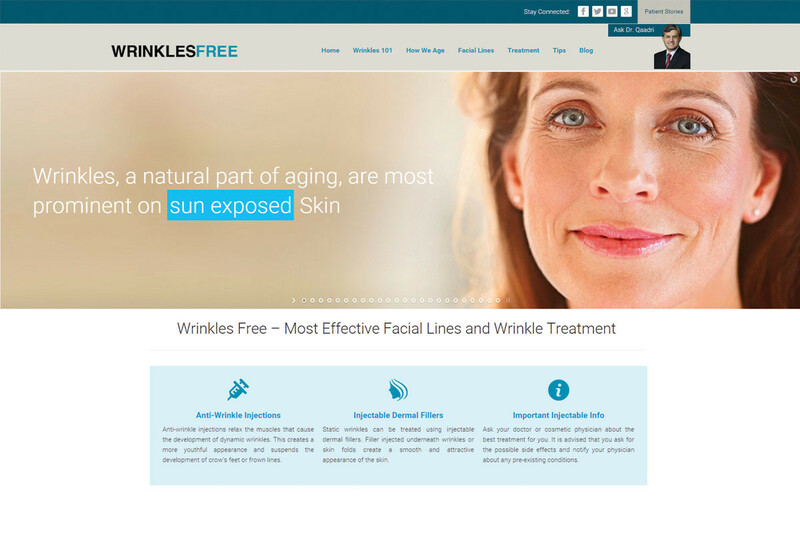 We designed and built the website for Wrinkles Free–to serve as a gateway for educating visitors with wrinkle treatment. We included a clinic finder allowing visitors to find the nearest clinic. With the analytics we provide Wrinkles Free, they are now educating people more than ever now and are extremely satisfied with current and projected analytics.